Along with the delights of sampling a cream tea, local cider and pasties, this landscape makes the perfect excuse for renting a holiday lodge in Devon, with the added bonus of your own hot tub. Choose one of our lodges in North Devon and miles of golden beaches, dramatic cliffs and deep winding lanes will be on your doorstep, as well as the wild uplands of Exmoor. South Devon, too, has wonderful beaches, plus historic towns and river estuaries, home to an abundance of wildlife. Around Torbay, explore the so-called English Riviera with its mild climate, holiday atmosphere and sandy beaches (Torquay, Paignton and Brixham.) Here, you will find a wonderful variety of seaside attractions, charming old villages and busy harbours. Any stay at one of our Devon lodges would be incomplete without a trip to Dartmoor. This ancient landscape of windswept granite tors towering over wild and rugged hills is best explored on foot. 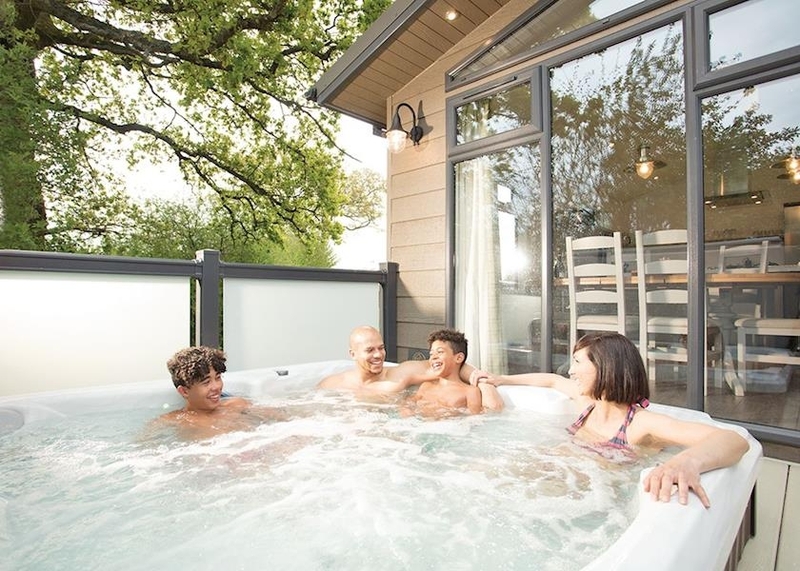 So why not browse our selection of Devon lodges with hot tubs to find something that catches your eye?